Home English Fitness Health Information Can mangoes actually control diabetes? Can mangoes actually control diabetes? Mangoes contain a variety of vitamins and minerals, such as vitamin C, A, E, K, and a range of B vitamins. Other constituents include polyphenols, triterpene, and lupeol, which can benefit our health by providing antioxidant and anti-inflammatory properties. It is a common notion that mangoes for diabetics are bad. 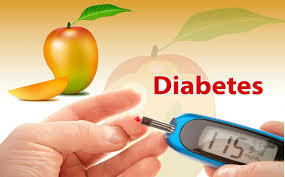 In fact, it is also widely believed that diabetics should avoid many types of fruits including dates and bananas. However, the truth cannot be further than this. Most doctors suggest this to be a common myth and a wrong notion that diabetics should avoid fruits just because they are too sweet. There, however, are certain fruits they recommend to eat in moderation. Let us see if mangoes for diabetics are one such fruit. Mangoes are known to lower high cholesterol, reduce acne, improve eye health, enable sexual health, reduce acidity, improve heart health, prevent stroke, etc. So, now we know that apart from being an amazingly delicious fruit, mango is also a super fruit which can treat many health conditions. In fact, mangoes have been found to prevent cancer! A recent research study has said that along with the above-mentioned health benefits, mangoes can also control diabetes! Mangoes contain vitamin A and are high in fiber content, they can reduce the inflammatory response of internal organs in diabetic patients. 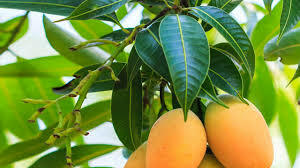 In addition, mangoes can also maintain the glucose levels in a diabetic's blood, and prevent them from spiking, thus keeping this disease under control. Along with consuming mangoes on a regular basis, it is also important to take the diabetes medications prescribed by your doctor. One of the best natural treatments is to use mango leaves for diabetes. You just need to boil about three or four mango leaves and drink the water. The benefits of mango leaves for blood sugar have been ascertained after a lot of research. The research substantiates that the medicinal properties contribute to the lowering of the blood sugar levels within the body. For better results, you should try soaking the leaves over the course of the night in water and consume the solution early the next morning. Ensure that you consume the solution on an empty stomach first thing in the morning. The effect that mango has on the body is the same for both type 1 and type 2 diabetes. Again, the Glycemic index plays a very prominent role in how much of the fruit should be taken, as well as the best form in which the fruit should be consumed. The doctor should, however, examine the risk factor involved in consuming mango for type 1 and type 2 diabetes.